Pacemaker Fishing Forum / Well, what now? 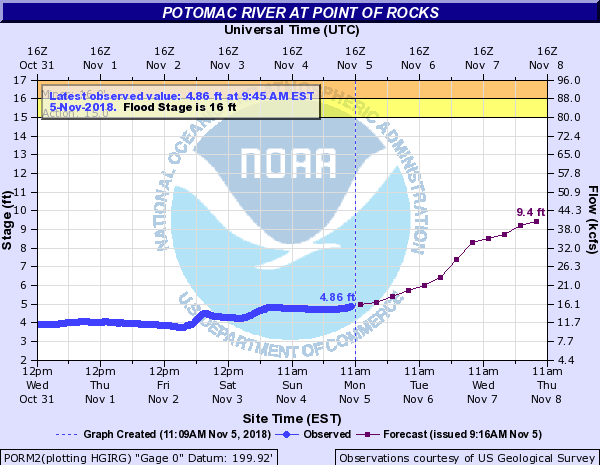 Well, it looks like it rained a little less than predicted and the river looks to top out at @11' by tomorrow. But hey, it will be down to 9' on Friday! Just saw updated forecast and it said it will get close to 18' by Saturday night. This was the first summer since the 90s that I did no wading at all. Yard is mud. Tomatoes all died. Boats getting mildew. Make it stop! I walked the C&O canal to Widewater with my dad yesterday and the water was RAGING on the main river. This side of Sherwin Island usually has almost no current, and the water was flowing up to the bluff walls. There was a ton of debris going down the river. 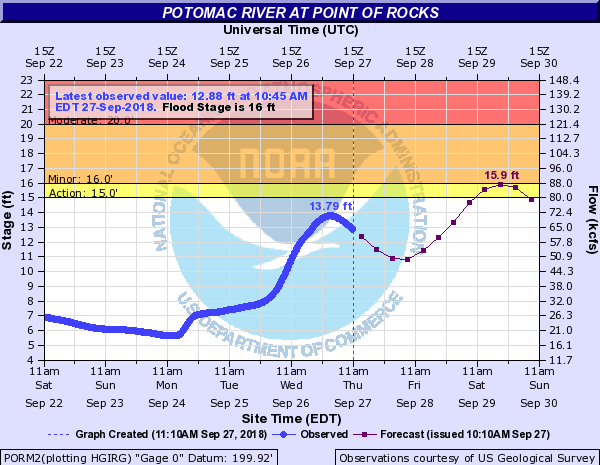 The river topped out at 21.39’ at noon on Saturday. That’s high!! It dropped 11’ in 2 days but will still be at 7’ by Thursday. It may be fishable next week. I went by Sunday and took a couple pics. Some crazies were jet skiing and one guy was putting in a Bayliner… . I just stopped by and the river and the water had some green in it...or maybe it was a wishful mirage. The Shenandoah at rt 7 was raging chocolate milk Sunday. And a place to spend the night for free at LKA! I'm about through with these charts, but at least it gives you something to do while it's raining it's @&& off. They just changed it...again...only going to peak at 7.4' on Wed. morning. Well, it's cresting at 8' something. Might be until the weekend before it's fishable. But the cold weather is creeping in...since it's November I guess I should expect it. Yes, but rain Friday will bring it up again. Plus, colder weather is upon us after tomorrow. Maybe when you get back from your cruise? You are right, unfortunately. 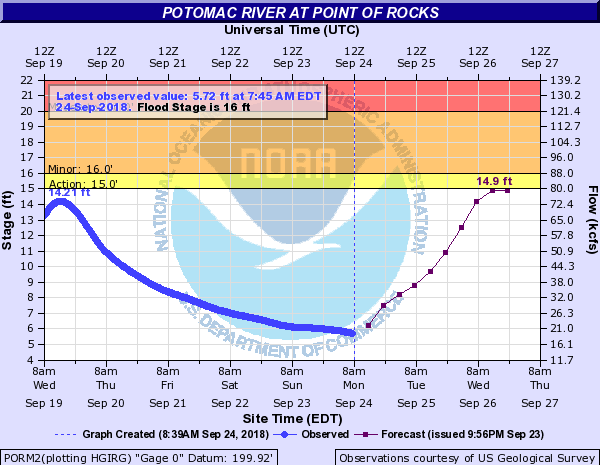 Looks like the river goes back up to @8' over the weekend. I was going to try Monday morning but that's out. By the time I get back, it will be winter fishing and I have no clue where they go. Yes, I know the general area but I haven't found them. But maybe it's because I don't go when it's cold out because I get cold. I don't go when it's cold out because I get cold. Ha! I've fished in the driving snow before. I have all the winter clothing necessary. I just chose not to go out when it's cold...can't stand it. Period. The roller coaster ride continues....topped out at 10'+ last night and will drop to 6'+ on Tuesday only to go back up to who knows what by Wednesday (after the Tuesday rains). Went and looked at the water today, not as dirty as expected....but high for sure.